The three R’s, Research, Reading, and wRiting. I just gotta. It’s all about the Holy of Holies of spiritual life which, in our day, lies neglected. What is that? The household. We find in Scripture, in Jewish life, among the early Yeshua believers, and over and over again throughout history, the household is the vital center, the Holy of Holies of spiritual and societal well-being. Home is where spiritual dynamism is meant to be most concentrated, and it is from there that it then radiates out into the community of the people of God and to the wider world. Think of the design of the tabernacle in the wilderness and each of the First and Second Temples, each termed a “Beit Mikdash.. In Jewish life the home is called a mikdash m’at, is the Holy of Holies where spiritual power and potential is most concentrated, the dynamo of the rest of life. Apart from spiritual vitality at this center, life remains profane. 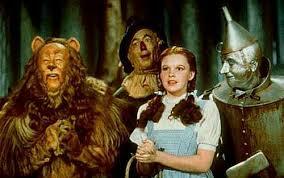 Dorothy was right–there is no place like home, not here, nor over the rainbow. This is not the time to tell you very much about the book I am writing. That’s for later. But for now, though, let’s look together at some reasons why we need to move spirituality back home where it belongs. This is true for everyone, and in unique ways, especially for Jewish Yeshua believers and their families. Let’s look together at just some factors crying out for prompt and effective remedial action. As failure to feed and care for an infant leads to its death, so the greatest sin of Jewish Yeshua-believers in our day is murdering the past through neglecting to preserve it, and thereby crippling the future. If preserving and passing on the Jewish past and its spiritual richness is dependent upon the awareness and devoted care of Jewish believers in Yeshua, then all is lost, or very nearly so, because so many in the Messianic Movement are captivated with more immediate satisfactions, the tyranny of the urgent, and matters of pragmatic congregational success often defined as filling the seats and making the budget. Many distrust or disparage rabbinic tradition, and by discounting it, sabotage the future. Messianic Judaism is only worthy of the name if and as it values this Jewish past as a treasured way of thinking, believing, and acting that enriches the individual, the family, and the community, bridging a valued past with a desirable future, enriching relationship with oneself, other Jews, society, the entire created order, and the Creator himself. Susceptible to the cultural trends around us, it seems that contemporary religious life is footnotes to René Descartes (1596-1650) who developed the principle of rationalism, locating the source of authority and epistemological certitude within. For him, the only sure starting point was oneself. He expressed this idea in his famous “cogito ergo sum” which should best be translated ‘Because I know myself to be thinking, therefore I know that I am’. Certainty about truth begins and ends with me, and the authority to distinguish truth from falsehood, reality from illusion, and to differentiate duty and freedom, is mine alone. Everything starts with oneself and one’s inner life of thought and feeling. Today, in the evangelicalized world of most Jewish believers in Yeshua, we are living in a post-modern aftermath of a full-blown Cartesian revolution. “I think, read, pray, repent, believe, accept Yeshua as my personal savior, and therefore I am a child of God, all by myself. Certainty about spiritual reality begins and ends in me.” Considering the lack of social obligation and accountability to others in God’s family that often accompanies such a state of mind, it is not unfair to say that in such a universe, each such believer instinctively feels him- her-self to be not only a child of God, but also an only child. This trend toward individualistic spirituality may also be understood as the narcissistic infantilizing of relationship with God, mirroring the pattern of infants that know themselves to be the center of all there is, with the world restricted to what the baby experiences. In the baby’s worldview the self is the base of reality, and everything else is experienced as a source of threat or discomfort, of pleasure, nurture, love, attention, neglect, relief of discomfort or its absence. And at first, the infant does not even realize that anything or anyone is other: everything is an extension of itself. Sad, is it not, that many in our day not only have no regard for the past, but also feel no obligation to the future. And so we are left with a spirituality of the immediate, or as comedian Flip Wilson brilliantly called it years ago, “The Church/Synagogue of What’s Happening Now.” However, Jewish believers in Yeshua did not disconnect from Jewish tradition unaided. We had help from the church. That the Messianic Jewish world has learned to cut itself off from allegiance to the ways and worldview of our ancestors is partly due to a tradition of contempt, whereby many in the church have long viewed and taught Judaism to be little more than a launch pad for God’s better alternative, the church. From the second century onward, the church learned to commend itself to the pagan world by dis-commending the Jews and their religion. A visit to most seminary classes in Pauline theology will demonstrate how the weight of Christian teaching and rhetoric portrays the commandments of Torah, and thus, the Jewish way of life, as burdensome and expired, and with its alleged death, Judaism left a vestigial religion and the Jewish community left to inherit the language Paul applied to the pagans of his day: “strangers to the covenants of promise, having no hope and without God in the world.” “But be of good cheer,” says the church. “We are the new Israel, so come and join us. Come and assimilate, forget who you were and become one of us.” This is the sad legacy this tradition of contempt has bequeathed to the sons and daughters of Jews, members of a discarded Plan A people, a mentality inviting such Jews to come become part of the new people of God while transcending, or perhaps outgrowing, their people and heritage. Yes, it is that bad, if not always and everywhere, certainly often. Judaism and Jewish ritual life are regarded as a preliminary stage in God’s plans for the world. Although Jews and Jewish life may be treated with courtesy, in truth, Jews and Judaism need to get over themselves. Or so we’ve been told. The church and Messianic Jewish congregations are not only privatizing God-relationship. We are conceiving it on a vertical axis. It is “my personal relationship with God,” and “Yeshua is my personal savior,” and the songs at my places of worship are most often in the first person, and even when they speak of God/Yeshua/the Holy Spirit in the second or third person, one will seldom if ever hear songs in the first person plural of who we are and of what God has done for us. It still more rare to find any contemporary Yeshua believing worship songs that speak of us Jews us as a people united in covenant relationship with other Jews across time, or in the Christian context of Christian believers similarly united with the trans-generational people of God. We do not have communal worship any more: we have multi-individual personal worship. People sing to God with closed eyes: it is all between ourselves and God, and the others in the room, or even in the past or the future, are reduced to the status of distractions. Hence the closed eyes. We have lost the horizontal axis. We see relating well to others as a “nice” and “proper” and “expected” outcome of our personal relationship with God. So, if we can find a good congregation and the people seem “cool,” we can try it out for a while, and related to others in well-defined and often minimalist ways. After all, life is busy. And if the worship team is hot, and the place has enough features that appeal to us, we might even join it and stay, that is, as long as things are happening. If the congregation becomes a disappointment, we can always go elsewhere, being careful not to slam the door on the way out. Indeed, some people leave so quietly you never notice they left. And some congregations are so preoccupied with the show up front, they fail to notice not only who just left, but also who just came in. Our circles and the wider movement as well have become adept at ignoring our near total outreach failure. A few months ago I read a Barna statistic that 97 percent of church growth is transfer growth, that is people transferring from one church to another. In the Messianic Jewish movement the statistic will be higher. I would guess in the 99 percentile range. And the growth of almost every congregation is due to Gentiles joining them, not Jews. The outreach enterprise of the Messianic Jewish movement is a failure, and worse than that, for many people, it is hardly even an imperative. In addition hardly anyone in our congregations feels him- or her-self to be equipped and capable of inviting Jewish friends, co-workers, and school-mates to the Messiah’s banquet table. Unmotivated, ill-equipped, and unengaged. This is not good news about the prospects of the good news in our circles. What shall we conclude from our deliberations? I suggest this: Jewish believers in Yeshua, their families, and communities, the world, and the purposes of God need and will benefit from their nurturing and being nurtured by patterns of God relationship that are familial radiating from the household as central. The individual spiritual maturation that many seek in our day can only happen if we remember that it is coordinate with forming, nurturing, and honoring relationships, from a family or surrogate family base. Today’s prevailing model of the church or Messianic congregation as a theater with a great worship team (band) up front contributes to a hierarchical, “the leaders and the led,” speaker-audience model of congregational life that cannot and will not develop and equip spiritually mature sons and daughters of God. And tragically, this theatrical, leaders and the led, speaker/performers-audience is dominant in congregations formed by Jewish believers in Yeshua. Something needs to be done. I am planting and nurturing households where something new and good is happening. And I am writing a book about it. Do you think I have painted our current situation too darkly, or have I described matters as you have encountered them? Is your context over the rainbow? Or is it more down the tubes?